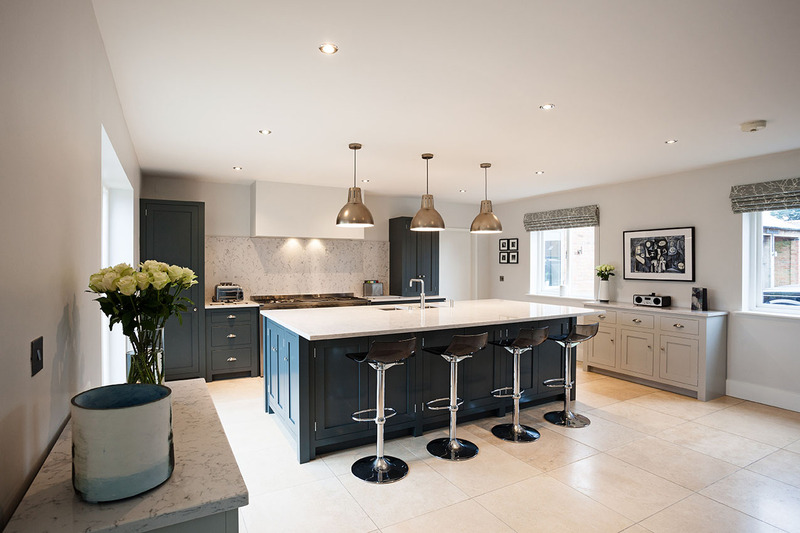 Based near the village of Breedon-on-the-Hill, Leicestershire, Anderson Reeve specialises in making truly bespoke and personally designed handmade kitchens as well as other bespoke interiors. 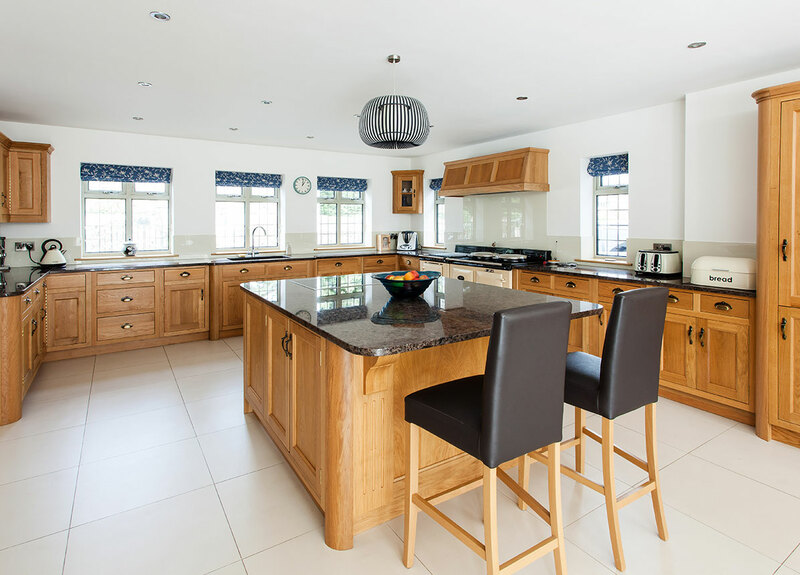 Click below to view our range of handmade kitchens. They are all bespoke and made to order. 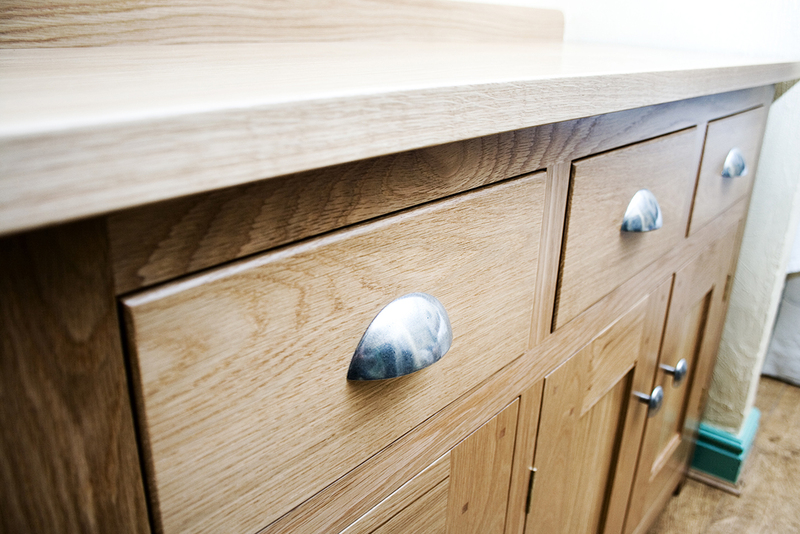 Click below to view our range of bespoke furniture. They are all bespoke and made to order. James from Anderson Reeve was commissioned to renew our kitchen in 2017. Throughout the design and concept stage, CAD drawings were provided that accurately displayed the final layout; these together with James’s advice and guidance allowed us to quickly finalise a design that evolved into a highly effective and attractive working kitchen. James’s technical and craftsmanship skills are exemplary; the final result was a perfectly finished installation of the very highest quality. It looks stunningly good and works equally as well. His high standards of customer care, use of quality materials and attention to detail add to the finished result and afford me the opportunity to recommend him extremely highly. 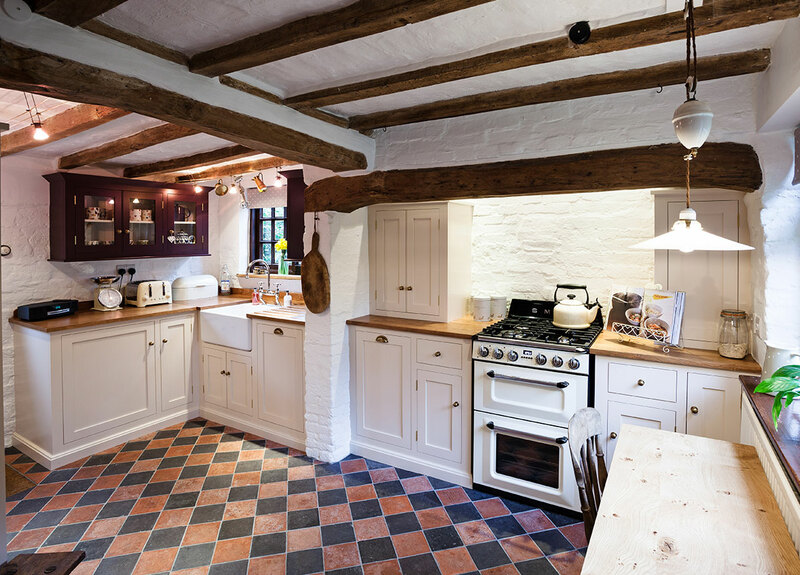 We commissioned James to design and make a hand-made kitchen back in 2016 for what can only be described as a challenging space in our grade II listed cottage. From design through to completion, James project-managed the whole process with professionalism and incredible attention to detail. 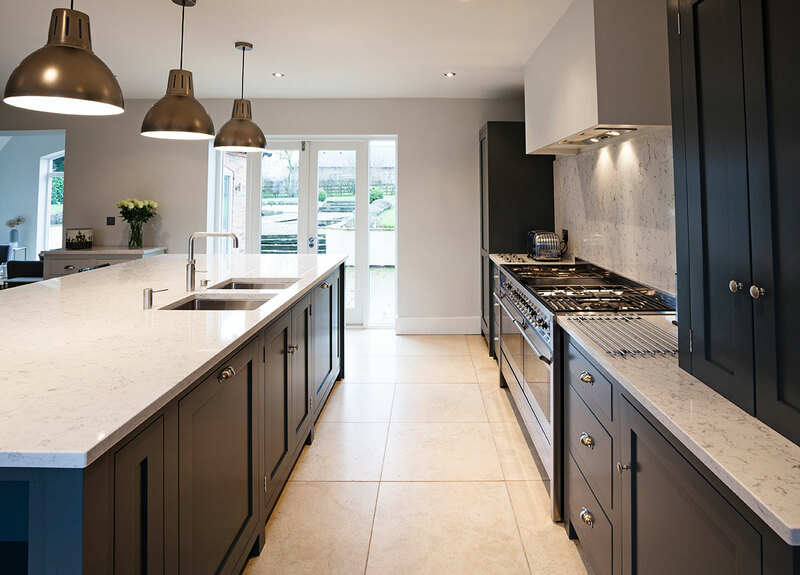 He carefully listened to what we wanted whilst offering creative ideas and solutions and, as a result, gave us a kitchen which exceeded all expectations! The way he cleverly worked with the space available has given us the storage we need but which we never thought possible! His craftsmanship is the talking point for any visitors who see it and I would definitely recommend him to anyone who asks! Having read the glowing reviews on James’s website, we immediately knew that he would be the man for the job. We were looking to have an office installed in the second bedroom of our home which would give the storage space we needed whilst still allowing space for a sofa bed when guests come to stay. James did not disappoint! He gave us a modern and expertly crafted home office which even included a cleverly designed sliding drawer unit which allowed the sofa bed to slide out underneath the desk! Without James, we would not have been able to make of the most of this space as we are now able to do. Throughout he was professional and methodical and we would not hesitate to recommend him and use his services again in the future.